Anyone who might be considering a 2017 Audi A3 on the basis of it using Android Auto might want to reexamine their options. Apparently a large number of the cars are having difficulties with the compass in Android Auto being rotated 180 degrees while the phone is connected, which interferes with navigational operations. Navigation does function correctly when a phone is not connected, though. The problem was first reported last year, but Audi has not yet issued a TSB. A service manager for an Audi dealership I spoke to claimed that even if the trouble with navigation was widespread, it would be too early for a TSB to be warranted, especially if Audi doesn't yet have a fix. Without a TSB, there is no way to know if all 2017 A3s are affected, but it does seem safe to say that it is a fairly widespread issue. One user on the forum who claimed to work for Audi said that the problem is exclusive to base model A3s. Another person on Google's product forums was able to fix it on his own after he discovered it might be related to the car's firmware, but the fix provided is exceedingly technical and requires a VAG-COM cable. His solution is allegedly the result of a specific line in the device's firmware requiring changing. Another user confirmed, claiming to have been informed by Audi that the CAN bus interface is incorrectly configured on the car's current firmware. 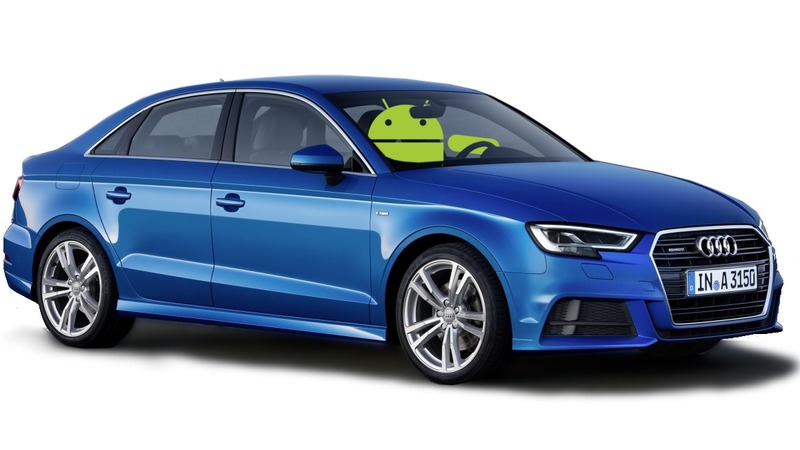 Without a direct statement from Google or Audi, it's tough to say whether the issue stems from Android Auto or if it's a problem with the 2017 Audi A3. But, given the specificity of the issue to a particular year and model, and the fact that the current fixes involve modifying software on the car, it's probably more likely that Audi is to blame. Either way, it looks like Google is looking into it. This appears to have been fixed in the latest Google Play Maps beta. You can sign up here if you'd like to test it on your car, or download it at APKMirror. Now there's no need for anyone shopping with Android Auto support in mind to exclude this particular car from their list.